A belt for life! 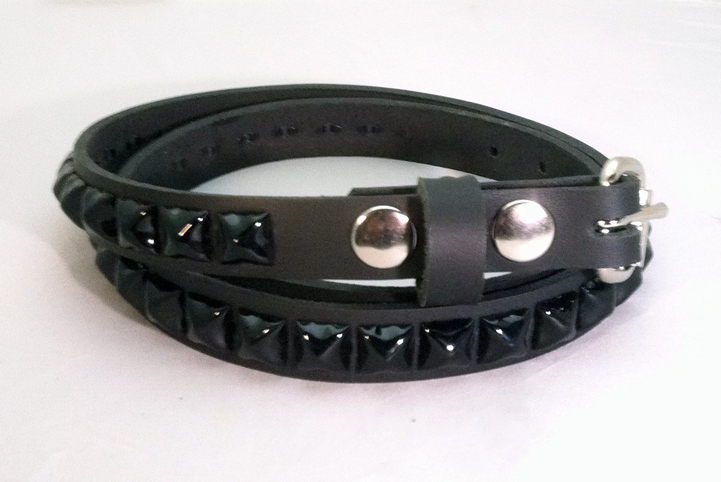 A single row of black pyramid studs adorn this 3/4" wide quality leather belt. Unlike those disposable cheapo bonded leather belts from places like Hot Topic with their short life and quality, these belts are handmade especially for us from thick 100% Black Leather and will last as long as you do! They're also made with detatchable buckles so you can customize 'em.